Happy Tuesday y’all! 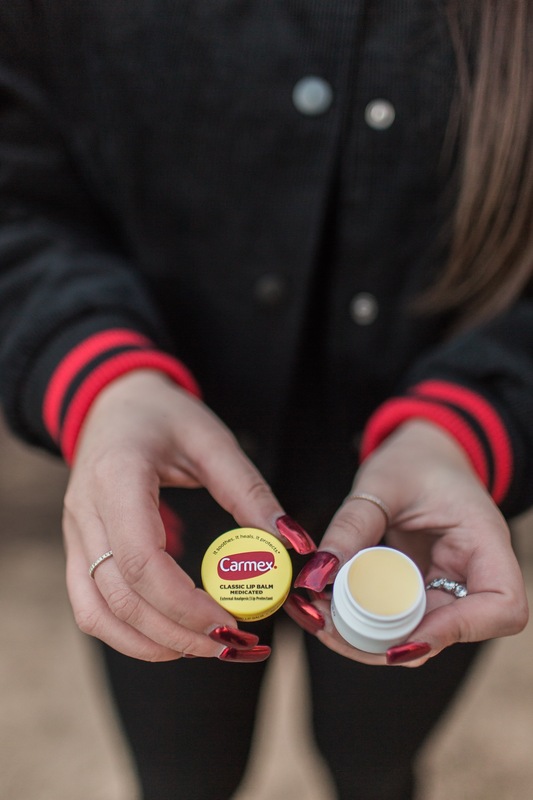 Carmex reached out to challenge me to revive something in my life a couple of week ago and of course… Challenge accepted!!! And naturally, I’ve been dying to share it with you all!! !… But☝🏽.. I wanted to get a few weeks under my belt before I wrote it, just so I knew it had stuck! So here we are a little over 3 weeks in now and I can truly say that I have started implementing new things into my mornings and I am noticing such a positive impact, mentally and physically! So I thought I’d share with all of you in case you’re looking to revive your morning routine as well!! Here are the things I’m trying to do every morning now! As you guys may remember from my Instagram stories a few weeks back, I said I was going to try to drink AT LEAST 1 liter a day and now I’ve officially made it a habit! 😃 And while some of you may not think that’s a lot, I was only drinking one bottle of water each day before (if that!!)! So I’m pretty proud! .. But I just recently found out that 1 liter is STILL not enough water!! 😫 So I’m going to try drinking 2 liters this week!!! Wish me luck! haha! How much water do you guys drink everyday? I’ve tried meditation before and it really helped, but I never really stuck with it for some reason. I would either forget, would be too busy, wouldn’t have a space to do it etc etc.. I always made up some excuse not to do it and then just ended up stopping all together. But this year I’ve been trying to incorporate it into my morning routines and while it’s only been about 3 weeks, I’ve been feeling so much better since starting it up again! It really helps with my anxiety, so hopefully I’m able to stick with it this time! ☺️ Oh! And if you want to try it out for yourself, there are tons of guided meditation apps in the app store! I’ve tried a few and all were great! I read an article a few weeks back on what the most successful people in the world do each morning and looking at their phones right when they wake up WASN’T on their lists! .. In fact, it was listed under the DONT’S. Which frankly, made a lot of sense when I thought about it! They don’t let the craziness of their jobs, relationships, etc affect their morning routine. They look at their phones about 30 minutes to an hour later. AFTER they have successfully completed whatever it is they need to do. This is easier said than done though! I’ve been trying SO hard to do this! Making it a conscious effort to get up, make the bed, brush my teeth, wash my face, get dressed etc.. all BEFORE checking my phone!! And on the days that I’m actually able to do this, I feel great! Focused and determined and ready to take on the day!… I’d be lying if I said there aren’t mornings where I just completely fail at this though and look at my phone right when my eyelids open haha. but it really is SO good for your mental health, so I’m consciously trying every single morning! I challenge you to try it! And if you do, let me know what you think!! I used to be really into fitness in college and once me and D graduated and moved back to the Bay, I kind of just fell off! .. And for those of you thinking (that was almost 3 years ago!! ), yes… it was! haha! I’ve obviously worked out here and there since then, but we’ve moved to different cities, states and even coasts more than 6x since then… so I really just haven’t been able to fully get back into it, the way I used to! But that changed a little over two months ago when we got to Houston! We gained a little more stability and I really enjoyed being here in Houston, so I thought it was the perfect time as any to start up my fitness journey again! !… I now work out 5x a week again and have never felt better! But there are definitely still days where I still have to FORCE myself to go, so going first thing in the morning really helps in making sure I get my workout in for the day! … Otherwise, if I wait too long, I eventually start to convince myself that skipping that day is okay and I can just go the next day! Which then makes me feel horrible about myself!! So making sure I go right when I wake up is a HUGE goal in 2019!!! Are you guys a morning or night gym person? You guys knooooowww I’ve been trying to work on this! Skincare is so so so important and best believe my skin will be 10000x happier in 2019! 🙃 Washing my face and applying moisturizer should be so easy and this year I won’t be skipping any days or making any excuses! Applying Carmex also falls into the skincare department listed above, but I thought it deserved it’s own section! I’ve NEVERRRRR put anything on my lips on a consistent basis! Believe it or not, I really only use lip products maybeeee 3x a year! I never felt like I needed it honestly! But it’s in fact, EQUALLY as important as applying a moisturizer! ESPECIALLY during the changing seasons in weather!!! This past fall when I was in Philly, I experienced “cold weather” to a whole new level! It was something that I had NEVER experience before! This Cali girl was NOT ready for the East Coast! haha! But with that, I started to actually realize something I had been neglecting practically my whole life! !… My lips!! 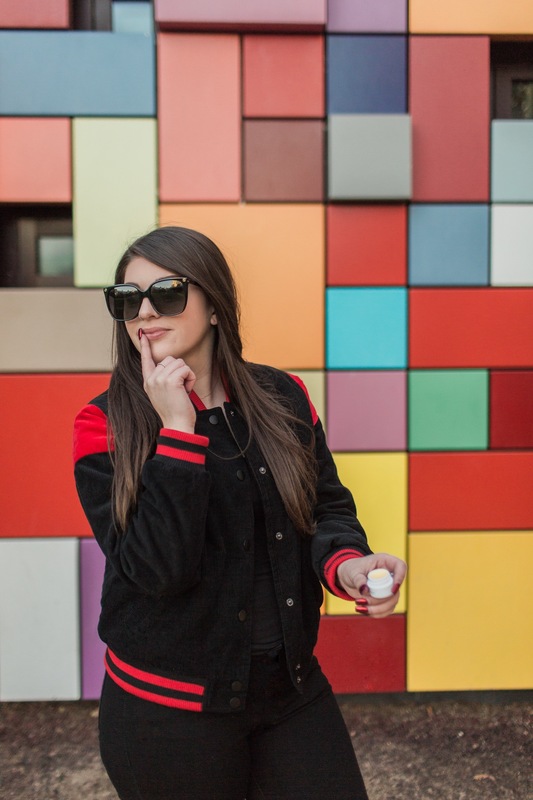 So as I was trying to figure out ways to better my overall health and quality of life moving forward into 2019, applying lip balm just seemed like a no-brainer! 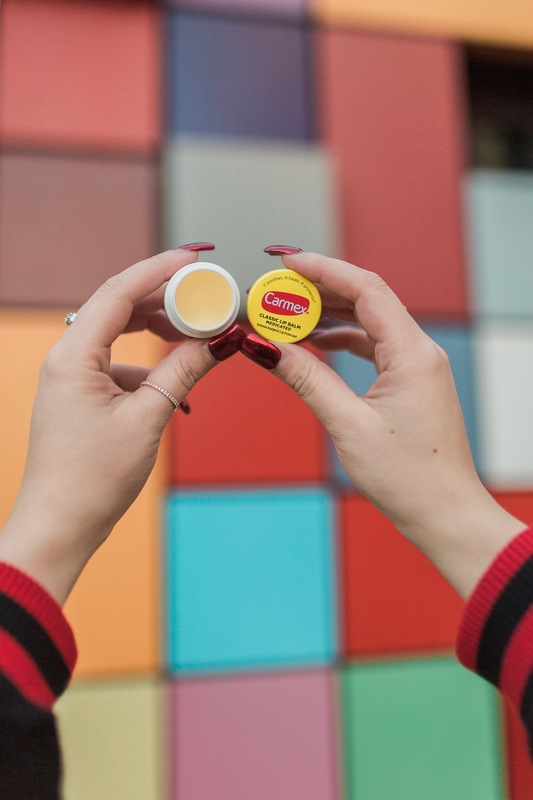 I mean.. ain’t nobody got time for chapped lips in 2019!!! Am I right!?!? 🙋🏻 haha! So of course I headed to the store and grabbed the BEST of the BEST! 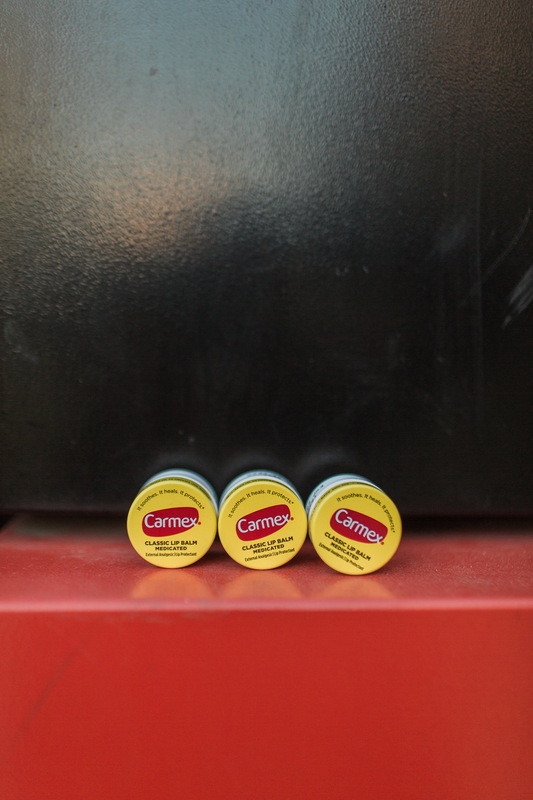 Carmex of course! And I’m sure glad I did!!! Their original jar is AMAZING and offers relief, long-lasting hydration and protects dry, chapped lips! 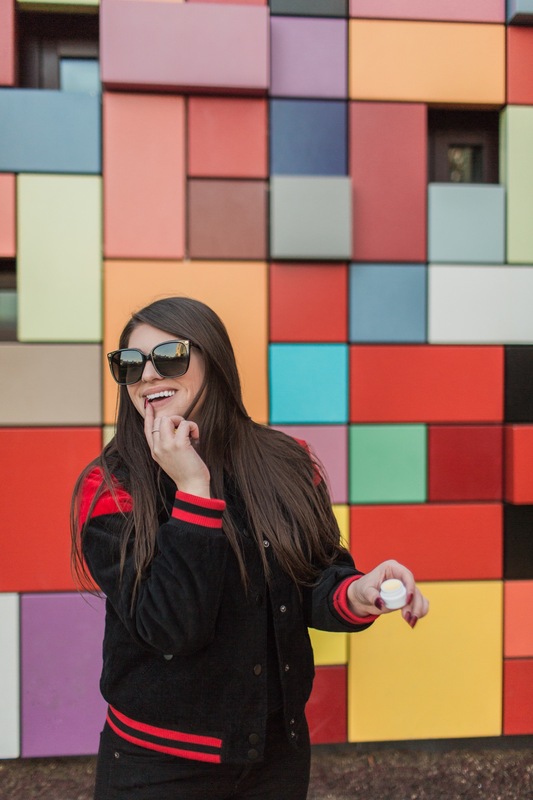 Do you guys apply lip balm everyday?! I LOVEEEE breakfast… but I RARELY eat it! Reason being, the kind of breakfast I like is french toast, sausage, potatoes etc!.. The whole shabang! lol and that obviously isn’t the healthiest and can’t be eaten everyday. So if I can’t have that, then I really usually skip breakfast all together haha, or just opt for quick and easy cereal! But breakfast truly is the most important meal of the day! So this year I’m making it a goal to cook a healthy, hearty meal in the morning!.. Full of nutrients and vitamins that will again, start my day off right! So if you guys have any good recipes, PLEASEEEEE send them my way!!! Thank you, thank you, thank you!!! As I mentioned on IG last year, I was scrolling on the app one day and saw a post from JLo .. (GOALS!) haha! But she posted a photo of a journal and while it very well could have been an ad, what she said in the caption really resonated with me. She said every morning she writes down 3 things she’s grateful for! I don’t know about you, but I really loved that! So the last few weeks in December, y’all may remember me doing the same on my Instagram stories. It truly made me reflect on the positive things in my life each and every day and left me with a happy, grateful heart! So I highly recommend this! And while I don’t post it on my IG stories anymore, I now write it down in a notebook so I can always refer back! And there you have it! That’s how I plan to revive my morning routine for 2019! It’s obviously been going great so far, so I can’t wait to see the positive impact it will have on me over time! And if you guys are implementing any other positive actions in your day-to-day routines, I’d LOVE to hear about them too! I’m always looking to try out new things and I’m hoping my list above will continue to grow throughout the year! Previous Post My Gym Playlist + Necessities! 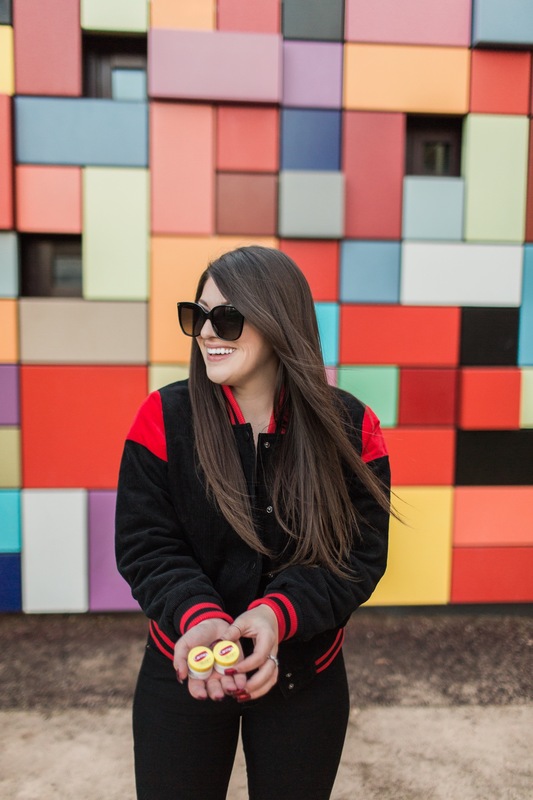 Next Post How You Can #PourItForward For Super Bowl 2019! Love this! Starting the day right is sooo important, if I start the day off in a bad mood it sets the tone for the rest of it. Thanks for sharing these ideas! I would really like to improve my morning phone use. It’s become second nature…it’s awful!! 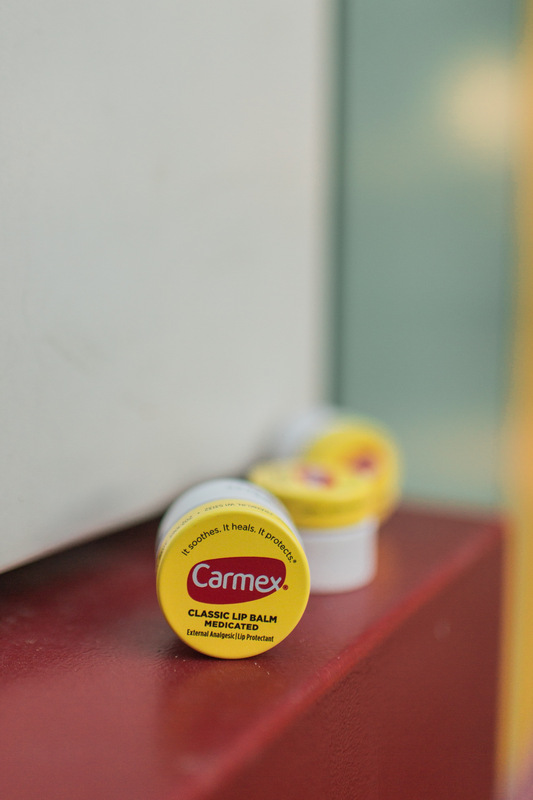 I also can’t live without my carmex either!! Right?!!? It’s so refreshing just getting other stuff done before checking it!!! & yes!!! So good! Wow I love your tips! You make a good point about making an effort to not look at your phone first thing in the morning. It’s become a habit for me and I’d like to change that this year. Thanks for posting. Aw thank you so much!! And right?! It was definitely a habit for myself as well, so it’s easier said than done, but sooo refreshing when you’re able to resist and get some things done instead! 🙂 Thanks for reading Kyra! That’s SUCH a good point about not looking at my phone. I’m guilty of doing that every morning. My husband is a very successful lawyer and professor, and you’re right: as much as he’s on his phone, I never see him scrolling through it in the morning. Never. I’m going to make that change myself! Thanks so much for this! So interesting to hear!!! It makes total sense! And honestly, when I resist the urge to look at it, It really does start the day off right!! So you’ll have to let me know how it goes for you!! 🙂 Happy Wednesday Izzy!! How you start the morning off is so improtant, it really sets the tone for the day. Loved reading these tips! Couldn’t agree more!! Thank you for reading Kasey!! I forgot how much I love Carmex until I read this!! I love a healthy morning routine to kick my day off on the right foot! Thanks for sharing! These are great, i love carmex! Not using my phone first thing could be one that I could try although if I didn’t pick it up I’d worry I fell back asleep haha! Love this post! I am so bad about washing my face at night, but Ive been working on it. Great list! Thanks for sharing! I am trying SO hard to not look at my phone in the morning. It is tough! These tips are all amazing..the phone one is big. I have anxiety too and I think social media and my phone causes a lot of it! I tried meditating and its hard for me to do..ha…I ‘d rather pray…has the same benefits..but I don’t do that much either..thanks for the reminders! All of these are great! I have my morning routine and nighttime routine for my face – totally would be lost without them! Those are a lot of changes all at once, kudos to you for taking that all on! I always try to not look at my phone first thing in the morning but I’m still working on that one! Love this! I’m especially stealing the part about not looking at your phone first thing in the morning because I tend to be bad at this. I so need a new morning routine! I always look at my phone right when I wake up-woops! Great tips! I’ve added quite a few of these myself! The hardest one by far is not looking at my phone! Your morning revamp is goals! I hope its going well for you!